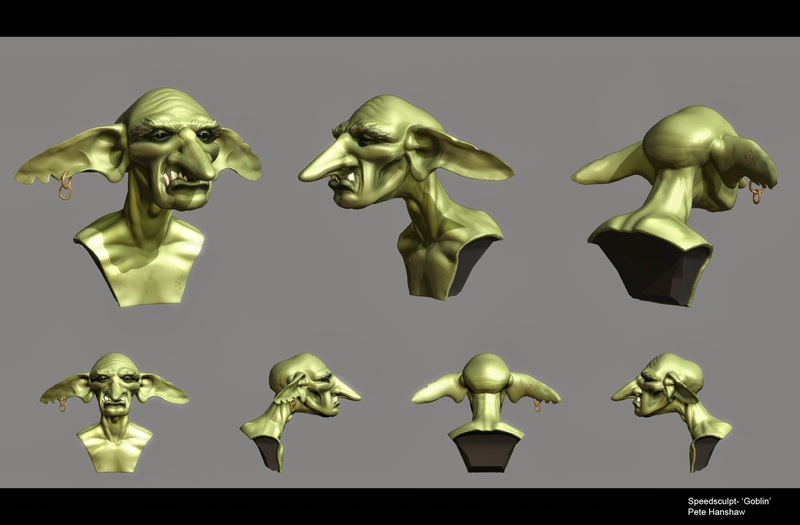 Pete Hanshaw: ZBrush Speedsculpt: Goblin! This week's theme was 'Goblin'. 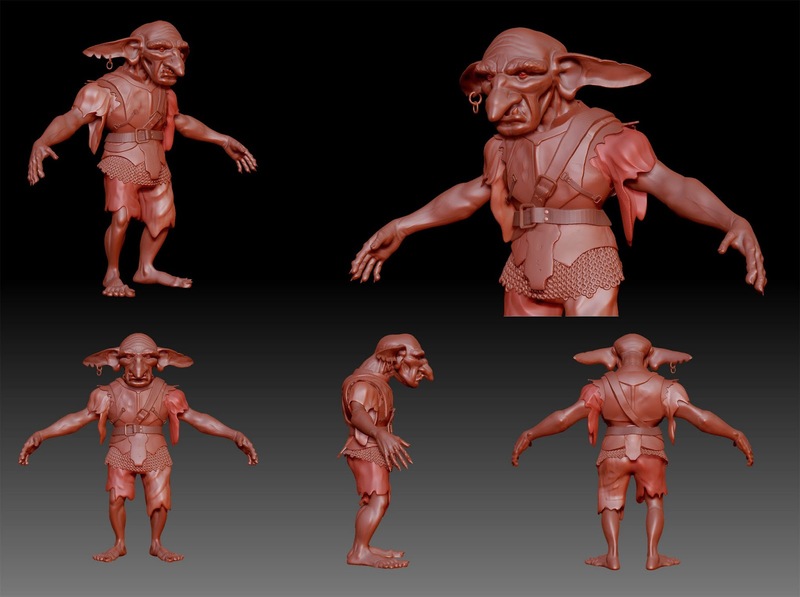 Due to GDC I wasn't able to get around to actually sculpting it until this afternoon. Sculpt time took the full hour. Had fun with the ears!